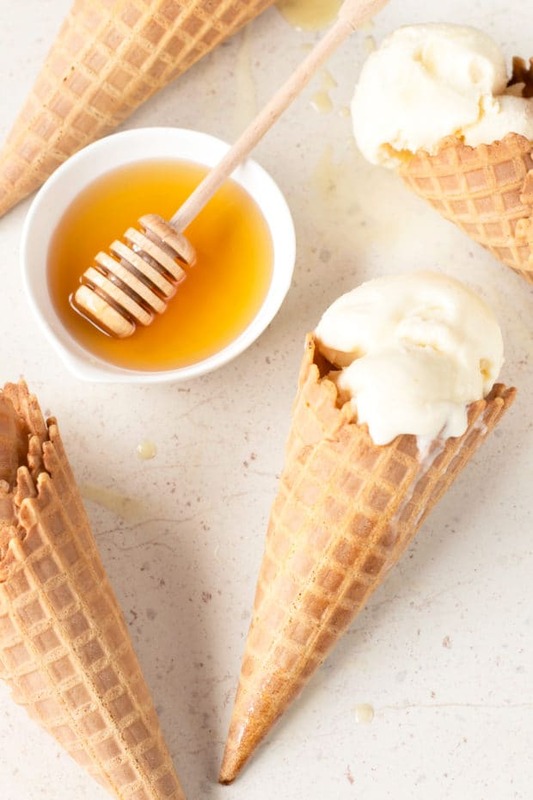 Honeycomb Ice Cream is the light and creamy double-scoop of honey heaven to make those long summer evenings even more special. The honeycomb gives the ice cream a clean, rich honey flavor that any honey lover will lose their minds over. Stack it up in a waffle cone or waffle bowl and enjoy National Ice Cream Day the RIGHT way. Have you ever had honeycomb before? I’m not talking about that weird candy that you mostly find in Europe (that I first tried in London when I was 16 and HATED). Real honeycomb is one of those guilty pleasures I love to indulge in. It’s got this waxy delightful texture (which I know sounds weird, but trust me, it’s BOMB on a salad), but the flavor is the real star. The depth of the honey flavor in honeycomb is off-the-charts incredible. The first time I had fresh honeycomb was when I was just a little girl. We used to go to this harvest festival thing in Kansas City and there was always this honey stand that had it. I remember when they would even bring bees to show them making the honeycomb behind the safety of the glass. Honey brings me right back to my childhood. From honeycomb to those little honey sticks that came in so many different flavors, I remember getting sticking fingers trying to get every last sweet drop onto my tongue. This ice cream is like all the honey bliss from my childhood rolled into a cooling dessert. 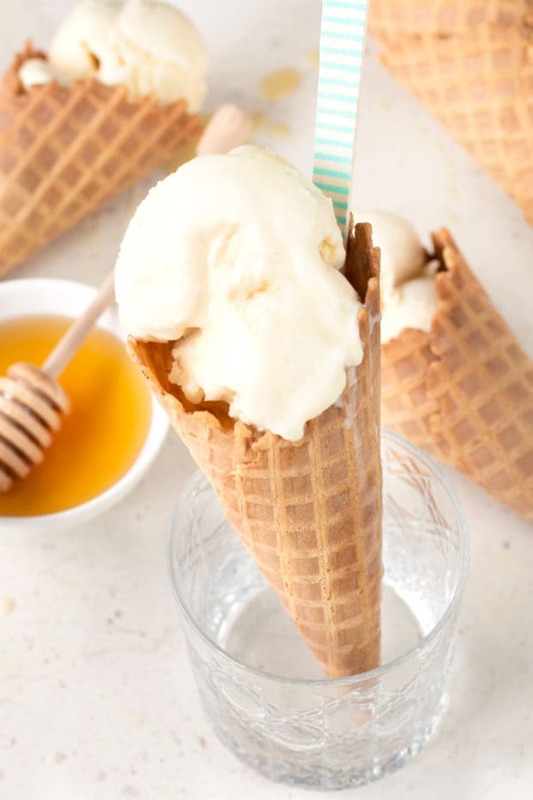 The honey flavor is smooth, rich and refreshing in every lick of this tasty ice cream! 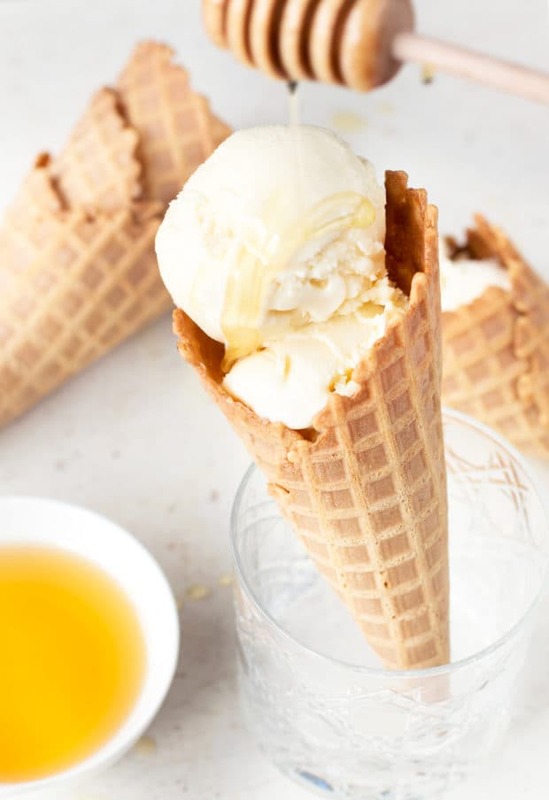 I love combining it with the flavor of a waffle cone because the honey plays off of the subtle sweetness in the cone so freaking well. I can promise that you will have a hard time resisting a second or a third scoop of this honey bliss! 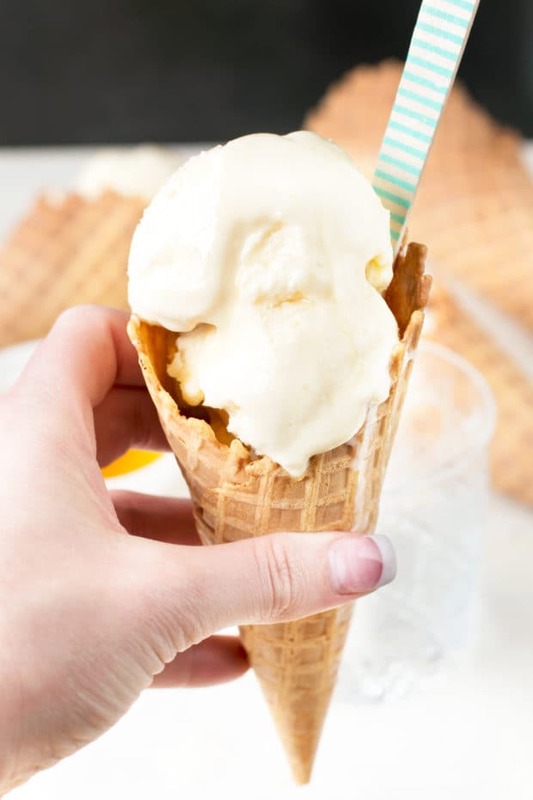 I wanted to make sure that you have a stellar ice cream recipe before National Ice Cream Day creeps up on you, but just in case you need more inspiration, check out the other ice cream recipes I’ve got. 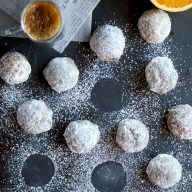 is the honeycomb I used in this recipe! Especially handy if you can’t find it at your local store or at the farmer’s market. is such an easy ice cream machine to use. OR if you have a KitchenAid mixer, you should grab this KitchenAid Ice Cream Maker Attachment (so you can avoid another appliance and all!). gets the perfect scoop every single time! 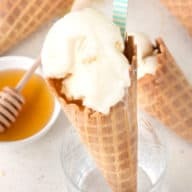 Pin this Honeycomb Ice Cream recipe for later! 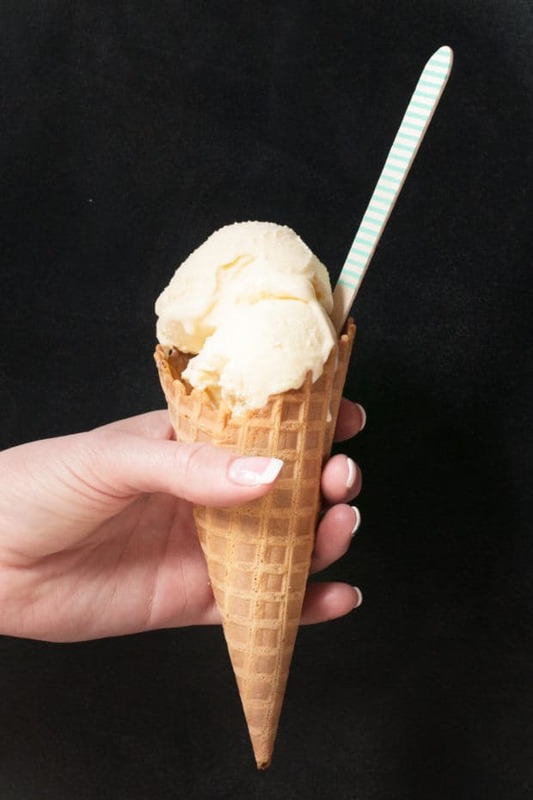 Sweet honeycomb is the star ingredient in this creamy ice cream! 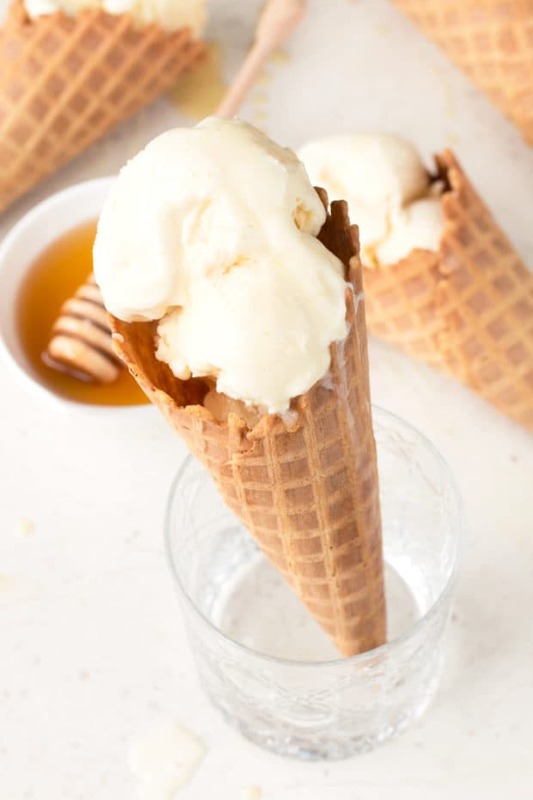 The honeycomb brings a rich honey flavor to the ice cream that is simply irresistible. In a medium saucepan, stir together heavy cream, whole milk, 1/8 cup sugar, and honeycomb with all it’s honey over medium-high heat. Bring the mixture to a low boil. Cook over medium heat until the mixture is thick and coats the back of a metal spoon. Remove from heat, remove large pieces of honeycomb and discard. Strain into a medium bowl and cover with plastic wrap, making sure the plastic wrap touches the surface of the custard to prevent a film from forming. Chill completely. Add the custard mixture to your ice cream machine. Churn the ice cream according to the manufacturer’s instructions. 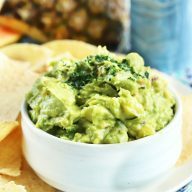 Chill overnight or for a minimum of 7-8 hours before serving. I’ll take a double scoop right now, it sounds so good! This sounds so good right now! I want to be licking a cone before bed! Now this looks like a gourmet ice cream shoppe treat! I am loving this idea! This ice cream is a show stopper! I’ve never had honeycomb and feel that I’m really missing out. I’d love a big scoop of this! This ice cream couldn’t look more perfect! Sounds delicious! 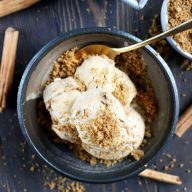 LOVING this unique twist on ice cream…it sounds amazing! Oh my goodness, this sounds wonderful! I’ll have to give this a try!